When you think about ways to utilize social media data - metrics like hashtag popularity or follower counts - the first thing which likely springs to mind is social strategy, and how to tap into such to inform your process. 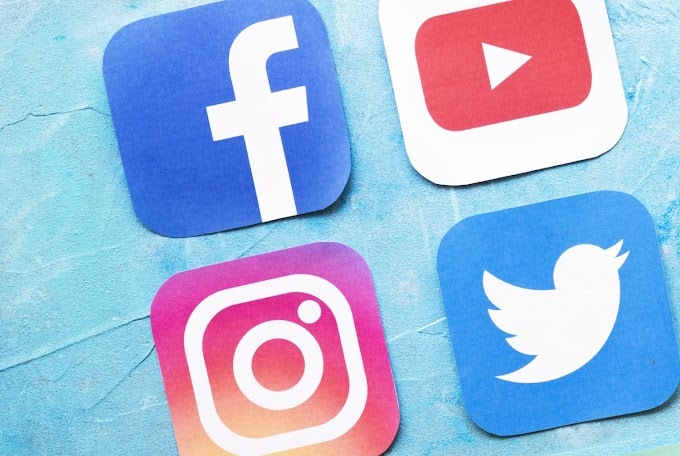 But what about using the same, or similar, social media data points as the base for a content marketing campaign which can land you big time exposure in the mainstream press? Probably not something which you’ve ever considered, right? What if I told you that two of the most successful content campaigns which I’ve launched were both based on free, public data collected from a single social media platform? One of these earned coverage from more than 200 publications, the other from just under 100. Both were highly successful campaigns in their own right, and one went on to win awards for its generated results. Here are screenshots pulled from ahrefs showing the link profile of each campaign. Further to this, one campaign generated more than 150k website visits in the first month after launch, and the other over 30k. You see, social media is a hot topic for the press. Why? Because it’s relevant to so many of us. Instagram has a billion monthly users, Facebook 2.2 billion, Twitter 335 million and Snapchat 188 million. That’s a lot of us using social platforms each month. There are also the haters, those who believe we all spend too much time on social media, who don’t agree with influencers earning millions for posting selfies with a brand’s products. Anything that gets people talking is usually a big hit for the press, and social statistics can surely do that. But what exactly am I talking about here - how did I use social data in these two campaigns to land coverage from publications including Vogue, Business Insider, Bleacher Report and more? Below, I’ll walk you through how I’ve used public data from social platforms to land big coverage, and plant some ideas as to how you can do the same. As a content marketer, I’m always looking for that next big story to tell to the press in order to land coverage for my clients - and that usually involves data. Data is something which is readily available from social media - you just need to find an innovative way to utilize it. These two campaigns used social data in two totally different ways, yet both smashed their KPIs and delivered big results. What Makes A Great Content Marketing Campaign? I'll examine the specifics of these two campaigns to illustrate the concepts a little better. Campaign 1: How Much Are Your Instagram Posts Worth? 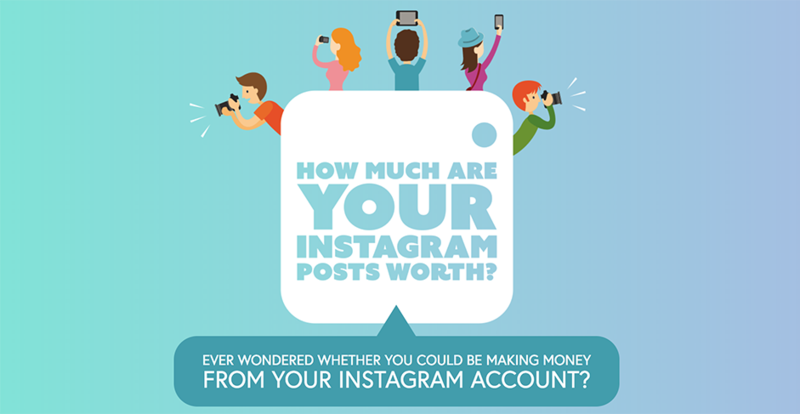 How Much Are Your Instagram Posts Worth? was a campaign which centered around a simple, but effective and engaging calculator. Users were invited to enter their Instagram handle, and the calculator then fetched their follower count and displayed how much a single post on their account could be worth to brands leveraging the power of influencer marketing. I calculated the value of a single follower based upon data obtained from ‘The State of Influencer Marketing 2017’ study. Above all else; the campaign hooked into a topic which had wide appeal, and helped to answer a question of how much could an individual earn through their own social accounts. It had an interactive element, which increased engagement (users had to enter an Instagram handle to see a calculation specific to them), was complex enough that a journalist couldn’t easily replicate themselves (it involved a few days of development time) and presented something which hadn’t been done before. Through a strategic outreach process, the campaign earned coverage from some of the world’s most popular publications including Cosmopolitan, Lifehacker, Glamour, The Sun, Grazia and many more. The campaign used social data obtained from a live fetch of a users Instagram follower count, and found a fresh way to analyze this figure in conjunction with another metric - in this case, the value of a single follower to a brand paying influencers. 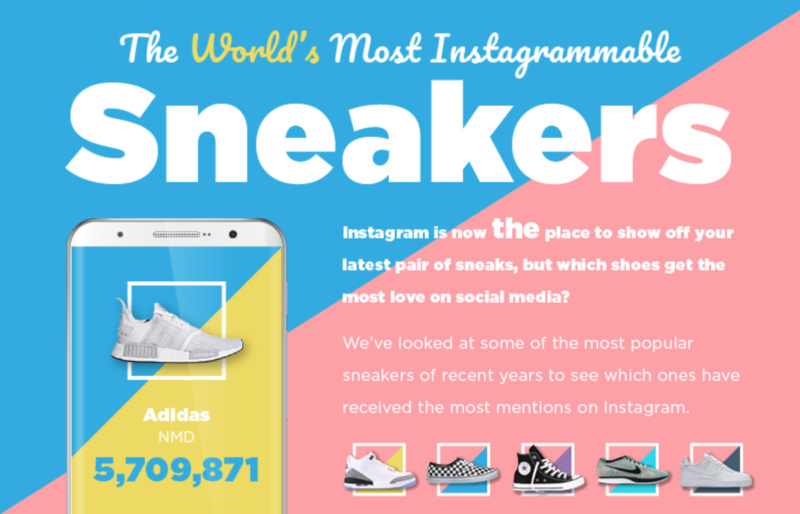 On the other hand, The World’s Most Instagrammable Sneakers campaign used an even simpler form of social data - the number of times a set of hashtags had been used. Sounds straightforward and easy to execute? That’s because it is. In this instance, I first compiled a list of the world’s best selling sneakers and ran this through Instagram to determine how many times hashtags had been used, making sure to combine any close variations which were used to refer to the same shoe. This revealed two really interesting stories - that Nike didn’t feature until the 7th spot and that the most hashtagged sneakers weren’t Yeezy’s, but were Adidas NMD’s. From our research, I already knew there was an active community of journalists talking about sneakers and this new data enabled pitches to be hooked to conversations surrounding classics, new releases, personal preferences and more. The story was of interest to journalists covering fashion, sports, lifestyle and even social media topics, maximizing success by reaching numerous publications in different sectors. Coverage for the campaign has been seen from publications including Business Insider, Bleacher Report, Huffington Post, Marie Claire, GQ and more. How Can You Use Social Data To Run Your Own Campaigns? Every great campaign starts with a story. Don’t forget that journalists cover stories, not content, and if you want to land top-tier coverage, you need to ensure you’re asking yourself what it is that would make a publication want to cover your campaign. Whether working alone or as part of a team, always start with a brainstorming session to establish a range of potential ideas and concepts. Never be tempted to run with the first idea which comes into your head. The concepts will, for the most part, be based upon the products or services offered by the brand who the campaign is being run for, and you need to be researching hot topics to hook into. What does their audience care about? What content do they want to read and consume? Which publications do they frequent? If you’re able to answer a series of fairly simple questions about the target audience (hopefully you already understand their main personas anyway), ideation becomes that little bit easier. Different approaches to ideation work for different individuals, however common tactics which have been proven to get the best ideas out of you include 635 brainwriting and topic mindmaps. At the ideation phase, you’re looking to determine an overall campaign concept and topic and be able to outline a clear story. Think more about headlines at this stage and less about data sources - you can find those as the next step. Don’t forget, we’re specifically looking at ways in which you can use social data to back up campaigns here, however the general ideation process applies to all campaigns. 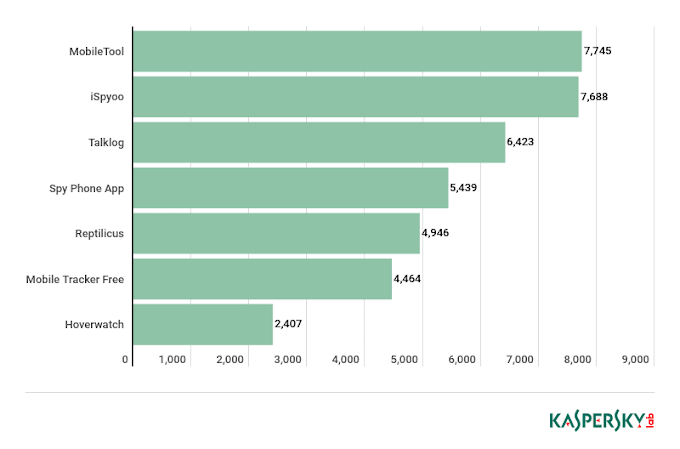 How Do The Premier League’s Most Socially Followed Footballers Perform On The Pitch? How Much Do Professional Footballers Charge For Sponsored Instagram Posts? Which Celebrity Has The Most Engaged Social Media Fans? Essentially, you want headlines that evoke discussion and interest. Once you’ve decided upon your preferred concept, you need to find your data source(s), conduct your research and work out how to obtain and present the insight. For this, you’d want to pull the follower count of every player in the Premier League, most likely across Instagram, Facebook and Twitter. This enables you to rank each player by the total followers, as well as by each platform, giving you further stories to push out. The key to a successful campaign, however, isn’t just looking at the number of followers - that’s something which, in theory, a journalist could run themselves. In this case, you’re looking to go a step further and compare the social popularity with performance on the pitch. You need to look for statistics which tell a story in a different way, and which shed new light on the information. Here, you could use Premier League data which looks at each player’s appearances, wins, goals or even yellow or red cards. It all comes down to your headlines but the more unique you can be, and the more unexpected the findings, the better the chances of securing strong coverage. Once you’ve got your concept and you've collected your data, you need to determine the most effective way to present this as part of your campaign. While this will largely depend upon your available resources, always try to determine the most suitable format to tell the story as best as possible. And don’t always assume that campaigns need the most complex formats to be effective - they really don’t. Remember that journalists typically want stories, not content, and they often aren’t looking at the format which you present, but rather the underlying data and headlines. Some would advise that you could simply send out a press release containing the data and findings, however in my experience, that’s unlikely to result in a link back to your site - something highly valuable from an SEO perspective. If you need inspiration on effective formats, this showcase from Siege Media, and this one from Hubspot, are both great places to start browsing, with the likes of The Pudding and Bloomberg Visual Data. When it comes to content promotion, the key is to ensure you’re pitching to journalists who cover relevant content. Don’t be tempted to take a scattergun approach, sending to anyone and everyone and hoping for the best. This is even more important when you’re working with data - you need to be telling clear stories which are specific to that journalist and publication. To take as a quick note, you won’t see the success you potentially could by sending out the same email to everyone on your prospect list. You need to ensure that every pitch you send is carefully targeted to each journalist, and that you take the time to ensure that you’re making it as clear as possible as to why your campaign is relevant to them. Tools like Buzzsumo are great for finding journalists who have covered similar topics, and Anewstip is an inexpensive way to compile a media list and find contact details. You also can’t go wrong with using Google News to find those publications and individuals who have recently covered topics which align. At the end of the day, there’s no doubting the power which data-driven stories have among top-tier press outlets, and when combined with carefully thought out data from the likes of social media, the opportunities are huge. Hopefully you’re feeling inspired to go out and launch a socially driven campaign for yourself - it can be a fantastic way to land authoritative coverage for your brand, and to demonstrate your creative thinking around unique and engaging data.